When it comes to your health, everything you put into your body makes an impact. Functional nutrition is an emerging specialty that focuses on utilizing certain foods that go beyond fulfilling the needs of basic nutrition and treating medical conditions. It’s the same healing strategy that is used with functional medicine, but instead of prescribing medication, a detailed meal plan is used as the method of treatment. 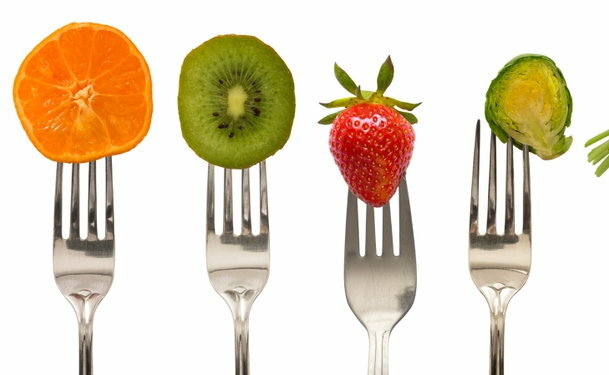 The intention of functional nutrition is to evaluate the way different foods impact the human body on a cellular level. It takes into account medical history, genetics, environment and lifestyle, and a medical professional will use that information to create a custom meal plan to restore and maintain your overall health. So it goes way beyond looking at the number of calories and grams of fat on the nutrition label, as every food is made up of thousands of molecules and has the potential to boost or hinder your health. There are key nutrients in certain foods that have the power to kill bacteria and support vital organs. Would I see a specialist? As this is still a developing practice, for the most part, holistic doctors and nutritionists are the ones primarily using this method of treatment. Various fertility doctors and nurses are also getting on board, but the best place to start is with friends and relatives who have gone through this form of treatment and see if they have any recommendations. Or check out our directory for reputable doctors in your area who might offer this service. Who could benefit from functional nutrition? Honestly, we could all benefit from taking a closer look at the foods we eat. It is extremely important to understand the components of something before we put it into our bodies. But functional nutrition has also been used to improve a couple’s ability to conceive, and also women suffering from polycystic ovary syndrome (PCOS). Patients who have tried fertility treatments and have not yet been able to conceive may also benefit from the use of functional nutrition. The treatment plan would not necessarily replace the fertility treatments done by your fertility specialist. It might, however, be used as a companion treatment to your current fertility treatments, or as a way to restore optimal health in between treatments. How is the initial exam performed? Just as lack of sleep can negatively impact the body, poor food choices can do the same. So the first step in functional nutrition is to share a detailed breakdown of what you are currently eating and drinking on a daily basis, and then figure out healthier swaps to make, as well as adding herbs and supplements to slowly add in. Processed foods with additives and high-sodium and high-sugar levels will probably be the first to go. Vitamin D levels are typically checked in functional nutrition evaluations, as they are often overlooked and could play a major role in overall health. Then your doctor will discuss your family history, as well as potentially bad food and lifestyle habits to break. And you will probably be asked to keep a food journal, which will help the doctor zero in on any destructive patterns and areas of improvement. If you are overweight, the number on the scale could be the biggest obstacle between you and successful conception, so your doctor will make a meal plan that will not only kick-start your health, but could also help you lose a few pounds and take some stress off the body. What are some of the caveats of functional nutrition? There is currently very little data on how much impact this form of treatment has on the body, so anyone interested in trying it should be aware that there is still much to be learned and many doctors remain wary on using this as a sole method of treatment. In many medical practices where functional nutrition is used, it serves as a slightly lesser companion to another treatment plan. It lays a foundation, in a way, to give the patient as clean a slate as possible before another treatment plan is implemented for a particular diagnosis. There are virtually no risks involved with trying a functional nutrition program. The only thing to note is that you may not see immediate results, and in some cases, no results at all, as this is still a widely untested medical treatment. And it should not be attempted without the supervision of a doctor, as certain foods could cause dangerous reactions to the body. This is not a cure for infertility, it is mainly a way to boost your overall health as a way to increase your chances of success with conception.